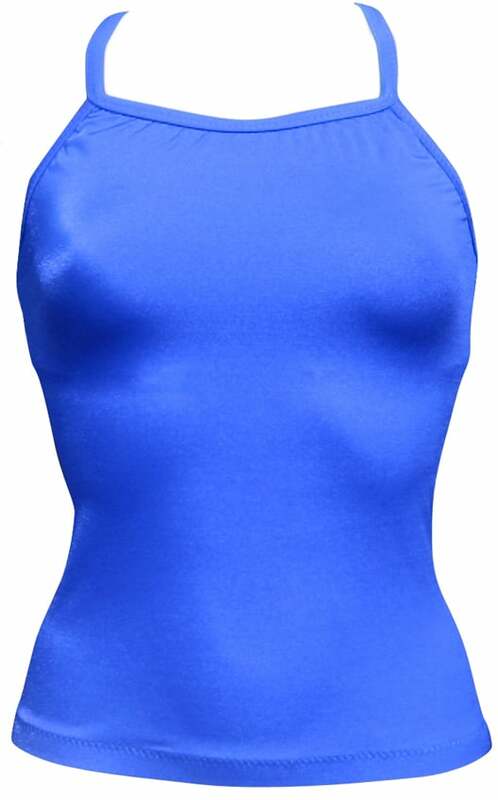 Tankini top features diamondback design design with thin 1/2" flat straps and a 3/4" elastic bottom. Shelf bra for added support and complete opacity. Added length to offer increased coverage for active aquatic proffessionals.